society for roots and trees is appalled that the sacred place where we live is becoming an ever expanding toxic chemical dump. We like to live and breathe and coexist in health and happiness. We don’t like it when heartless aliens come in and kill all the magic for money. 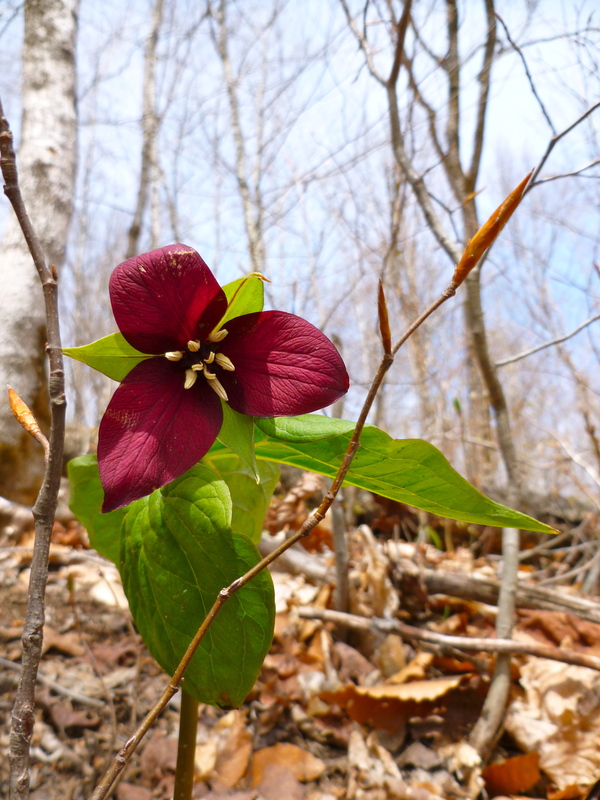 Maine’s a gloriously beautiful place, what is worth destroying it? When it is destroyed, we are all destroyed. Poisoning our land and water and air poisons us. Right up river from the home of the Penobscot Nation – Indian Island – the state of Maine has allowed an out of state corporation, Casella Waste, to operate Juniper Ridge Landfill (JRL). Casella Waste has been continuously making shady deals that severely undermine the environment and people who live around the landfill. Originally, JRL was only supposed to be used for Old Town mill waste, then it was only to be used for state of Maine waste, now Casella is trucking in biomedical waste from Massachusetts, Vermont, Connectitcut and New Hampshire. The blood and poison and drugs and disease and chemicals seep into our ground and spread through our river. The toxic gasses flare up and choke our lungs. For a complete synopsis of these happenings, and information on the danger of landfills in general, go here. After decades of exploitive industries contaminating the Penobscot River with dioxins from Mill waste, damming, flooding and pulp waste from logging, Penobscot Native Americans have worked hard and unceasingly to clean up the river over the years, vastly improving the health of the Maine ecosystem. The river is a fundamental part of Penobscot cultural traditions and survival, and home to many species, not just humans. 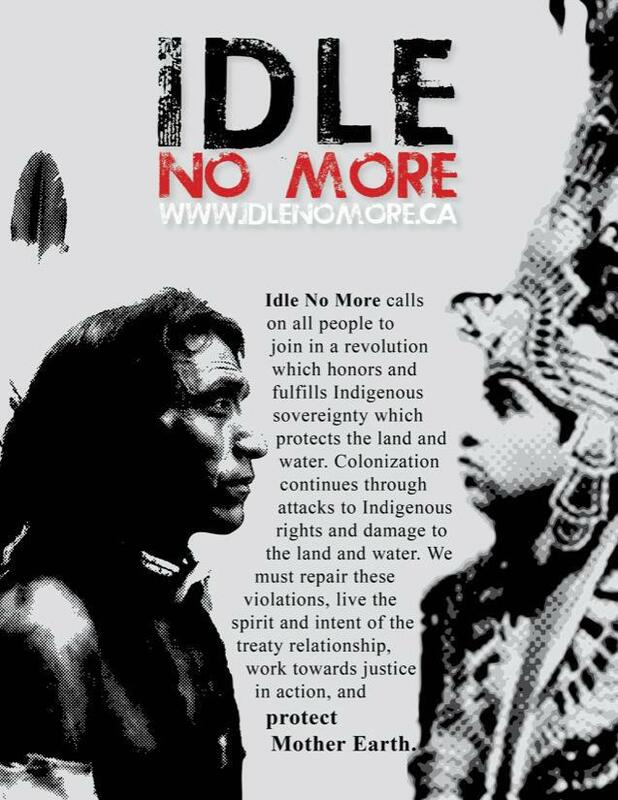 Native Americans in Maine and throughout the Americas have been treated unfairly and had genocide committed against them enough. It’s unacceptable that this level of injustice is still going on right outside our doors. It has come to my attention that a resolve concerning Biddeford MERC and Juniper Ridge Landfill is being rushed through the motions without a chance for leadership and citizen input! What’s the rush?! I hope state lawmakers are aware of the multitude of concerned citizens in towns surrounding Juniper Ridge Landfill (JRL) who will be OUTRAGED if Casella Waste is given more corporate control in Maine. I am particularly concerned with the lack of transparency that surrounds JRL activities. We don’t need Casella bringing more toxic waste into our precious environment. Destroying and poisoning the land that we live on also destroys and poisons us. It’s appalling how the state of Maine is giving Casella, an out of state company, so much power to do lasting harm to the Penobscot river, Penobscot Native Americans, and the citizens of Old Town, Orono, and Maine. People who vote their lawmakers into office trust them to do the right thing for the well-being of the citizens of Maine – not for the pockets of corporations and industry. PLEASE Senator Raye, do everything in your power to stop Casella Waste from getting complete control of Juniper Ridge Landfill, control which would expand that company’s power to destroy our environment and health. It’s not right nor just what is being allowed to happen. Concerned citizens have a right to know what is going on around them and to participate in the democratic process. Feel free to use that as your own template for writing letters to help. “Juniper Ridge Landfill history has been riddled with sneaky, underhanded deals between the operators and the State of Maine. Now it seems the state wants to give up its responsibility for this dump, leaving Casella to do as it pleases. We already know about the underhanded politics that landed Casella the job of operator several years ago (under Baldacci’s administration), we already know that they are trucking in tons of waste from out-of-state, including biomedical waste! We know that they were granted a partial expansion, despite citizen protests, we know that they have entered into a multi-million dollar deal with the university of maine to construct a methane pipeline, and the saga continues…. sell Juniper Ridge Landfill to Casella! few days for this bill that was introduced very suddenly. Landfill to Casella Waste Systems, Inc.
“Writing letters to state representatives with an overall message for them to protect our environment and natural resources is helpful. At this point in time, there are so many bills being introduced that sabotage our environment for corporate greed that it’s nearly impossible to keep up on them, and to respond to each bill individually. That’s why I would recommend contacting lawmakers with an overall message that we need our resources left in tact for Maine people and not for corporate greed. Right now we are faced with a super east-west highway construction that will cut through the heart of Maine, from East, along the Stud Mill Road, crossing the Penobscot River at Freese Island, to Dover, and on through to Cobure Gore. The purported purpose of the highway is to support industry – moving tar sand oils from Quebec to the New Brunswick port. Tar sand oils is particularly dirty business, and the method used to extract the oil sludge is wicked destructive, using thousands of gallons of fresh water and chemical cocktails to extract the dregs of oil. The process, referred to as fracking, has proven incredibly destructive to many, many indigenous communities, particularly from cracking the rocks below the surface of the Earth, and causing methane gases to leach into well water. The industrial highway will be a privately owned toll road. Our state lawmakers recently passed legislation to approve the use of $300,000 of maine taxpayer monies to fund the feasibility study for these wealthy private investors! I think our money should be used to fix our existing roads, etc, not to fund wealthy investors who only intend to hold the state ransom (they said they would pay the money back if the entire project was deemed feasible, and if it was approved by the state). There’s the Enbridge pipelline project, moving tar sands oil from Canada to Portland. 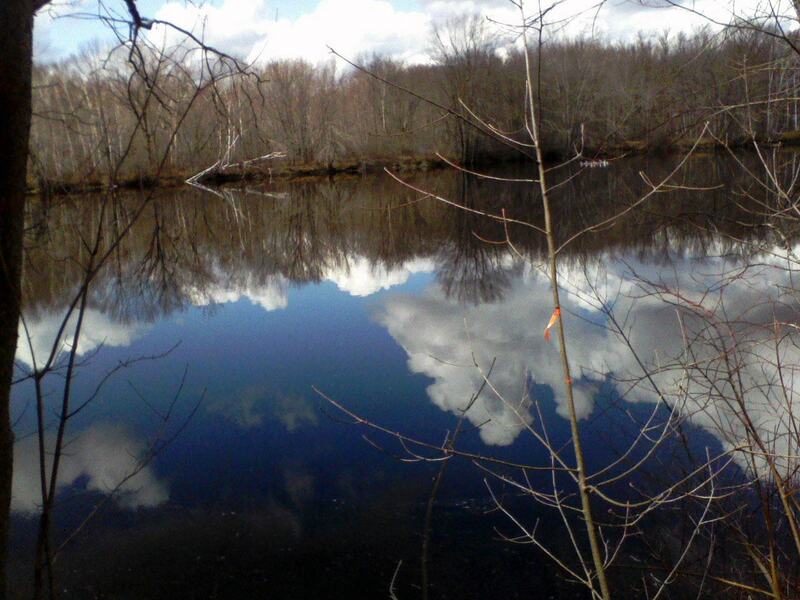 Apparently this Canadian oil giant Enbridge has a long history of spills including 840,000 gallons of sludge spilt into the Kalamazoo River in 2010. Then there’s the LPG tanker proposed for Searsport; the mountain top mining in Aroostook county (Thank you Irving oil for chopping the heads off our mountains!! – PS – now I won’t buy Irving oil), and of course all this landfill business – juniper ridge, norridgewock crossroads, and who knows what the heck is going to happen with Dolby (right up there at the headwaters of the Penobscot). 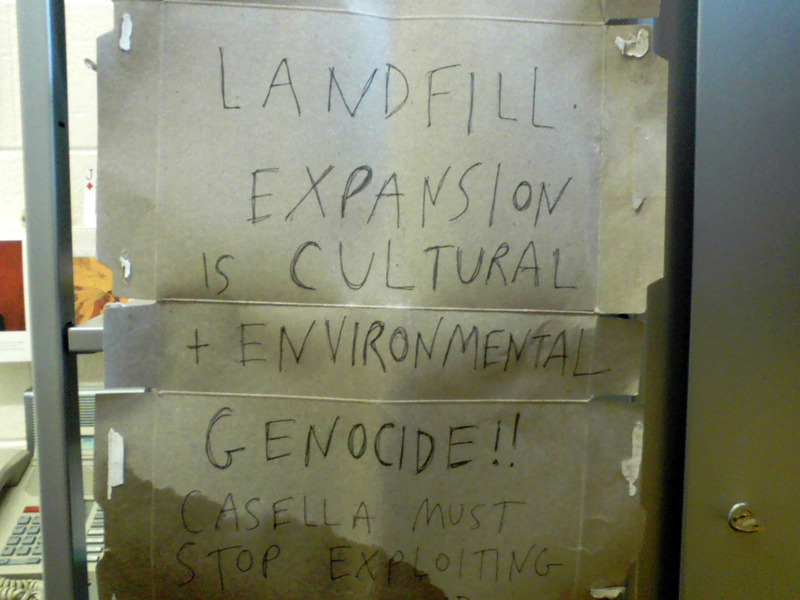 A few months ago, we went to protest Casella Waste at a public meeting. The power of the written word was most apparent when used towards justice. Our blood doesn’t run on dollar bills, it likes clean air and water, and food grown from uncontaminated soil. our souls actually lift out of our skin because you feed them so much. then we can hear the plants talking to each other and our bodies become like the roots dipping into the river. a sparrow comes to listen to you too, a little god shivering in the rain. “I shall not be moved, just like a tree planted by the water.” smell of sweetgrass and seeds erupting. and mourning doves, cardinals, yellow feather, crow voice all come to sing with you. we think this is the greatest version of this song we’ve ever heard, and we know how you like us to sing it with you. when we feel so cold and weak and on our own, you make us feel proud to be ourselves, all big heart circulating sweet sap, firmly planted in goodness and love for our fellow bird. thank you. I am writing in outrage of you signing a ban on ethnic studies in Arizona. It is incredibly ignorant and racist to try and censor the existence of people of color. Students need to learn the true barbaric history of the United States – a dehumanizing history that your administration is contributing to. You trying to white-out Arizona is unjust, frightening, retrogressive, and it aligns you with committing genocide against brown people. You are making a spectacle not only of yourself and Arizona, but of the entire United States. Your hateful “immigration control” policies as well as censoring education can never be forgiven. Please remember you are a guest on Native American territory and have no business further oppressing indigenous Americans or any peoples. I am in deep opposition to your policies.